Oxbridge students staged a banner drop today at the Cancer Research UK Boat Races between Oxford and Cambridge in a protest against the universities’ investments in fossil fuel companies. Activists dropped a banner demanding ‘Oxbridge divest’, before releasing orange smoke grenades from Hammersmith bridge, halfway through the Men’s race. 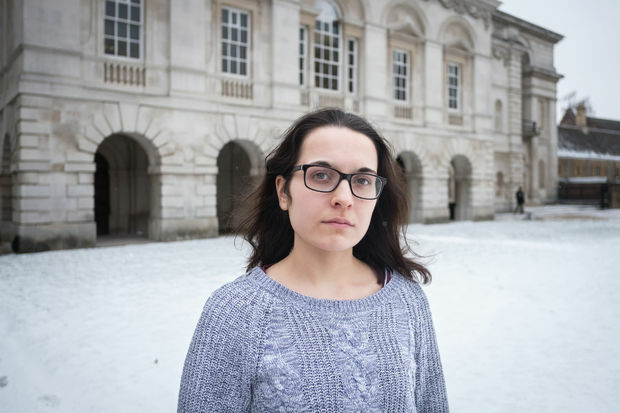 In a statement, Cambridge’s Zero Carbon Society, which lobbies the University to divest from fossil fuels, said that as “the gaze of the British public turned on London to watch the boat race between Oxford and Cambridge”, the same institutions “through hundreds of millions of pounds invested in the fossil fuel industry, pump money into a climate crisis which threatens unprecedented social and ecological collapse”. While the statement claimed that the banner-drop “drew the attention of the British media to Cambridge and Oxford’s immoral investments”, the message did not appear to get across to the millions of TV viewers, with the banner failing to appear in the BBC’s live coverage. However the BBC’s commentator, Andrew Cotter, did note: “Flares at the boat race, whatever next?”. The protest is the latest in a series of escalating actions from Cambridge’s Zero Carbon Society, which include staging a crime scene outside the Investment Office and setting up a mock wedding of the University to Shell. Last year, the University’s governing body, Regent House, approved a grace to divest fully from fossil fuels. The grace required the University Council to “publish a Report to the University within twelve months setting out how this is to be achieved”. However, there has been division within the Working Group set up to achieve this. Earlier this month, Zero Carbon’s representative on the Divestment Working Group, Alice Guillaume, resigned in protest at a draft report which she argued “fails to address the urgency of climate change and the injustices it engenders”. Though University Councillor Umang Khandewal reassured students that “The draft recommendations are in their preliminary stage, and do not reflect the values that the Group is aiming towards”, the aftermath of Guillaume’s resignation saw an escalation of protests, with over two hundred students and staff marching through the streets of Cambridge demanding that the University execute their commitment to divesting from fossil fuels. In a recent question and answer session with students and staff, Toope played down his power to make such decisions, saying “I can’t ensure that the University will divest”. The University Council is expected to make a decision on divestment later this spring, after receiving the Divestment Working Group’s full report.